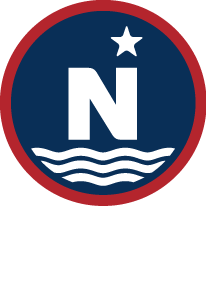 ﻿ Pacific Cod – North Star Fishing Co.
Employment With North Star Fishing Co.
General Information: Pacific cod are harvested with bottom and pelagic trawls, long lines (hook and line), and pots (or traps). Quota is divided between these different gear types and further between catcher-processor trawl (AFA and A80), catcher vessel trawl. Production of Pacific cod by the H&G A80 fleet is dependent on the annual TAC quota set. Pacific cod is generally an incidental catch from other targeted sole fisheries. The quota assigned to the co-op member companies is a “hard cap”. When their limit is reached, vessels in the A80 fleet must stop fishing. Given this limiting factor, North Star Fishing Co. vessels are conservative in “A” season (January – April) catches of Pacific cod. Cod production is spread throughout the season and is from 5 – 50 mt per vessel per trip. Additional information on Pacific cod can be found at NMFS Fishwatch. Copyright © 2018 North Star Fishing Co. All rights reserved.